Watch the Promo Video for the April 12th Action Now! In what other industry is it unheard of to take lunch??? 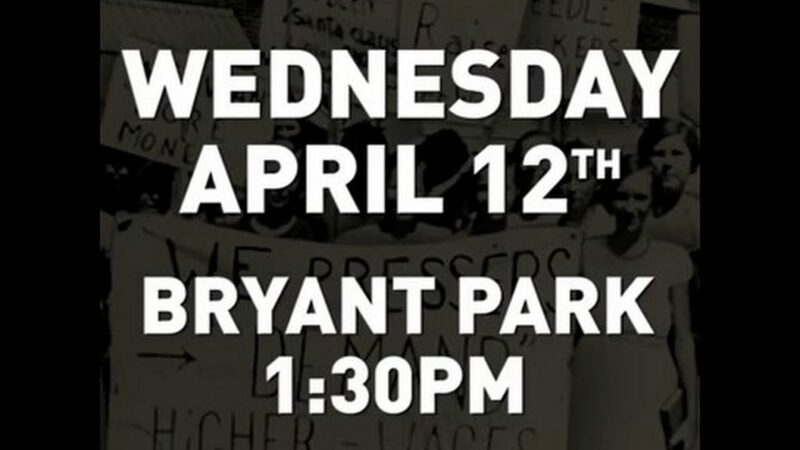 We’re calling on everyone in our industry to take a lunch break at 1:30pm tomorrow April 12th in Bryant Park (meeting near the west-side fountain). If you can’t make it up to Bryant Park, folks in the Financial District will be meeting up in Zuccotti Park (at the west-side steps). This is a chance to show that we’re together in the fight for better working conditions. We’re united, we’re organized, and together we are powerful.